Attorney John E. Horn of the law firm of Horn & Kelley, PC, just won another Social Security Disability case, this one at the hearing level, step three of the Social Security Disability process. He won the claim of a fifty-two year old Midlothian Social Security Disability applicant who suffered from Pompe Disease arthritic right hip, depression and anxiety, obesity, and high blood pressure. When you apply for Social Security Disability, make sure you hire a local fighter, a lawyer who can take your case to the United States District Court or United States Court of Appeals if necessary. You have at least a fifty percent better chance of winning with a fighting lawyer who can take your case to the United States District Court, the United States Court of Appeals or even the United States Supreme Court. Visit our website at www.johnehornattorney.com. We are national leaders in Social Security Disability law with more cases published in the Forum of the National Organization of Social Security Claimants’ Representatives than anyone else in the country for the last three years. We show other lawyers how to win. Horn & Kelley won nineteen out of twenty decisions in 2017 in the United States District Court and four out of four decisions in the United States Court of Appeals in 2017. We have represented many Midlothian Social Security Disability applicants successfully. 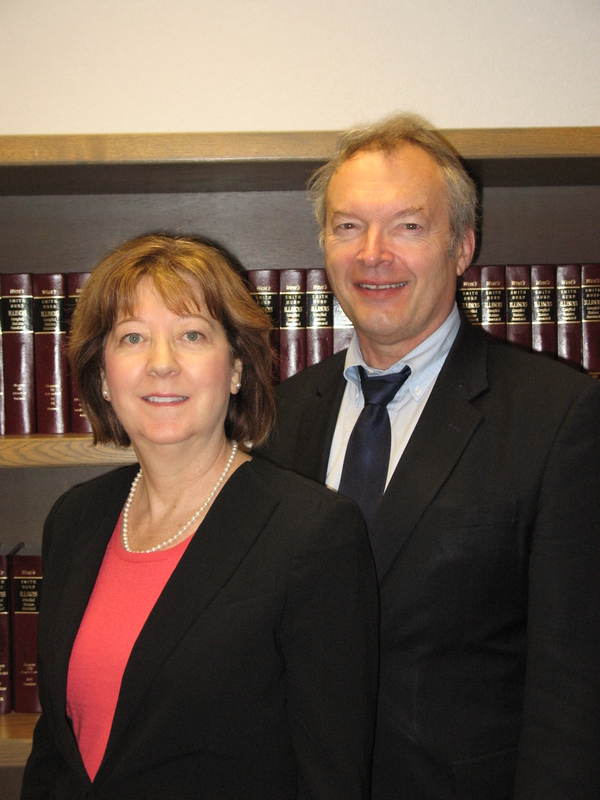 Horn & Kelley are attorneys who represent people on Social Security Disability claims at every level in Chicagoland and Northwest Indiana. Horn & Kelley has offices in Chicago, Tinley Park, and La Grange, Illinois, as well as Highland, Indiana. Their Chicago office serves Southwest Chicago. Their Tinley Park office serves Chicago’s south and southwest suburbs, including Midlothian. Their LaGrange office serves Chicago’s west suburbs. Their Highland office serves Northwest Indiana. They have represented more than 5,000 clients in the past twenty-five years. If you are a Midlothian Social Security Disability applicant, get a free evaluation of your Social Security Disability claim and call Horn & Kelley at 888-921-5297. A Midlothian Social Security Disability applicant would ordinarily make an appointment at our Tinley Park office, depending on what is convenient for you. Horn & Kelley practice only in the field of Social Security Disability. Follow Horn & Kelley on Twitter @HornKelleyLaw and like us on Facebook. Another big win at the hearing level for Horn and Kelley and their claimant!! Attorney John E. Horn of the law firm of Horn & Kelley, PC, just won another social security disability case, this one at the hearing level, step three of the Social Security Disability process. He won the claim of a fifty year old Harvey disability applicant who suffered from a history of strokes (three with the last one being massive), diabetes, double vision, anxiety, weakness on right side (dominant), must walk with cane, legs swollen, numbness and tingling in his feet & hands, shortness of breath, diagnosed memory loss. Horn & Kelley are attorneys who represent people on disability claims at every level in Chicagoland, and Northwest Indiana. Horn & Kelley has offices in Chicago, Tinley Park, and La Grange, Illinois, as well as Highland, Indiana. Their Chicago office serves Southwest Chicago. Their Tinley Park office serves Chicago’s south and southwest suburbs, including Harvey. Their LaGrange office serves Chicago’s west suburbs. Their Highland office serves Northwest Indiana. They have represented more than 5,000 clients in the past twenty-five year. If you are a Harvey disability applicant, get a free evaluation of your social security disability claim and call Horn&Kelley at 888-921-5297. A Harvey disability applicant would ordinarily make an appointment at our Tinley Park office, depending on what is convenient for you. Horn & Kelley practice only in the field of Social Security Disability. Follow Horn & Kelley on Twitter @HornKelleyLaw and like us on Facebook. Attorney John E. Horn of the law firm of Horn & Kelley, PC, just won another social security disability case, this one at the remand level of the Social Security Disability process. He won the claim of a fifty-three year-old Social Security Disability applicant who suffered from diabetes, high cholesterol, limited peripheral vision, fatigue, stroke with weakness on right side, frequent falls, severe depression and anxiety, and a learning disability. When you apply for Social Security Disability, make sure you hire a local fighter, a lawyer who can take your case to the United States District Court or United States Court of Appeals if necessary. You have at least a fifty percent better chance of winning with a fighting lawyer who can take your case to the United States District Court, the United States Court of Appeals or even the United States Supreme Court. Visit our website at www.johnehornattorney.com. We are national leaders in social security disability law with more cases published in the Forum of the National Organization of Social Security Claimants’ Representatives than anyone else in the country for the last several years. We show other lawyers how to win. Horn & Kelley won nineteen out of twenty decisions in 2017 in the United States District Court and four out of four decisions in the United States Court of Appeals in 2017. We have represented many Tinley Park Social Security Disability applicants successfully. Horn & Kelley are attorneys who represent people on disability claims at every level in Chicagoland, Northwest Indiana, and nationwide. Horn & Kelley has offices in Chicago, Tinley Park, and La Grange, Illinois, as well as Highland, Indiana. Their Chicago office serves Southwest Chicago. Their Tinley Park office serves Chicago’s south and southwest suburbs, including Tinley Park. Their LaGrange office serves Chicago’s west suburbs. Their Highland office serves Northwest Indiana. They have represented more than 5,000 clients in the past twenty-five years. If you are a Tinley Park Social Security Disability applicant, get a free evaluation of your social security Social Security Disability claim and call Horn & Kelley at 888-921-5297. A Tinley Park Social Security Disability applicant would ordinarily make an appointment at our Tinley Park office, depending on what is convenient for you. Horn & Kelley practice only in the field of Social Security Disability. Follow Horn & Kelley on Twitter @HornKelleyLaw and like us on Facebook.